Andries Johannes Burger, more often known as Jan-Berry Burger (born 25 August 1981 in Newcastle, KwaZulu-Natal, South Africa), is a Namibian cricketer. He is a right-handed batsman and a leg-break bowler, who occasionally takes up the position of wicket-keeper. 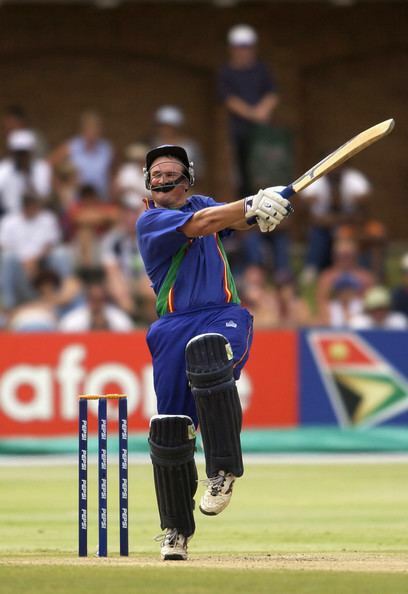 He represented Namibia in the 2003 Cricket World Cup. 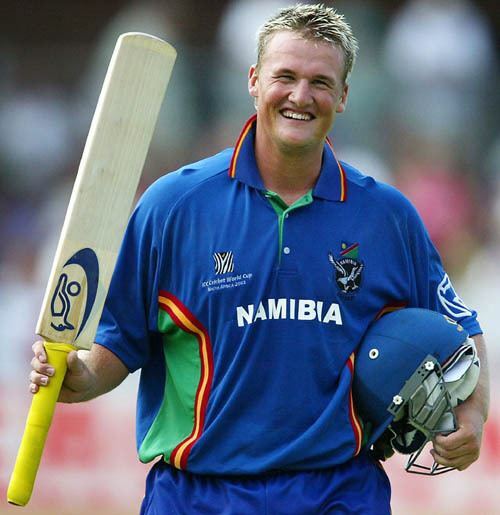 In the match against England he scored 85 in 86 balls, currently the highest score by a Namibian in a One Day International. Burger also holds the highest ODI batting average for his country. His current One Day International strike rate is over 100. A common misconception caused by the shared last name is that Jan-Berry, Louis Burger and Sarel Burger who have also played for Namibia in the World Cup, are brothers. This is not true. Another Burger, Kola Burger has also played for Namibia in the ICC Trophy. In January 2008, Jan-Berry made career-best bowling figures of 5-81, his first five-wicket haul.